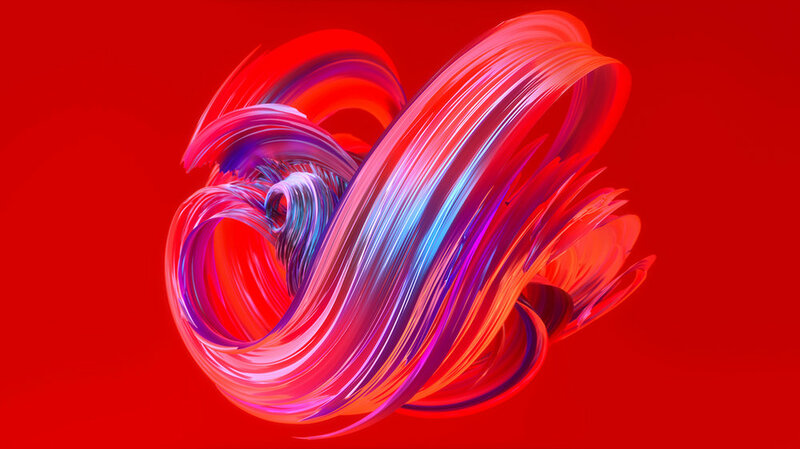 The experience starts with the playful area of the store; a place where customers can enjoy a large digital art piece that they can change personally. 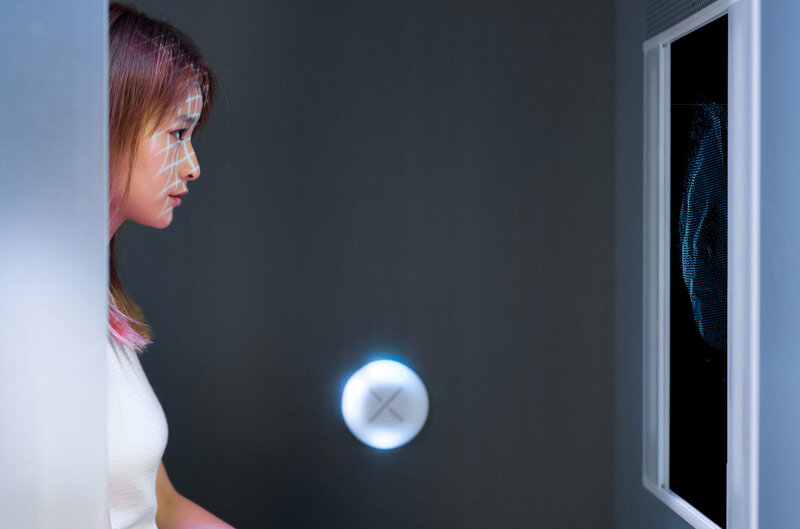 It’s controlled by reading people’s movements and emotions, triggering colours and sound. A great photo or video opportunity! 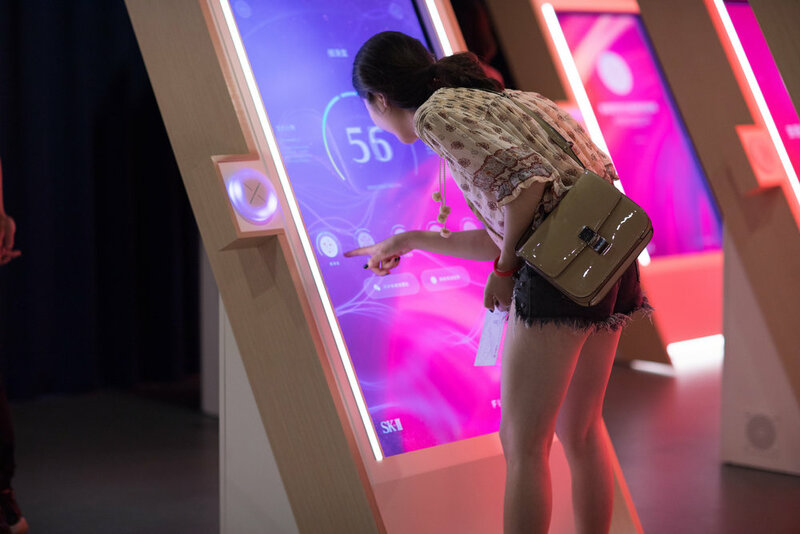 Following entry, are a series of stations where visitors could scan their skin – receiving a skin age score based on measurements across five skin dimensions. Based on the skin measurement, the audience got personalised skincare recommendations. 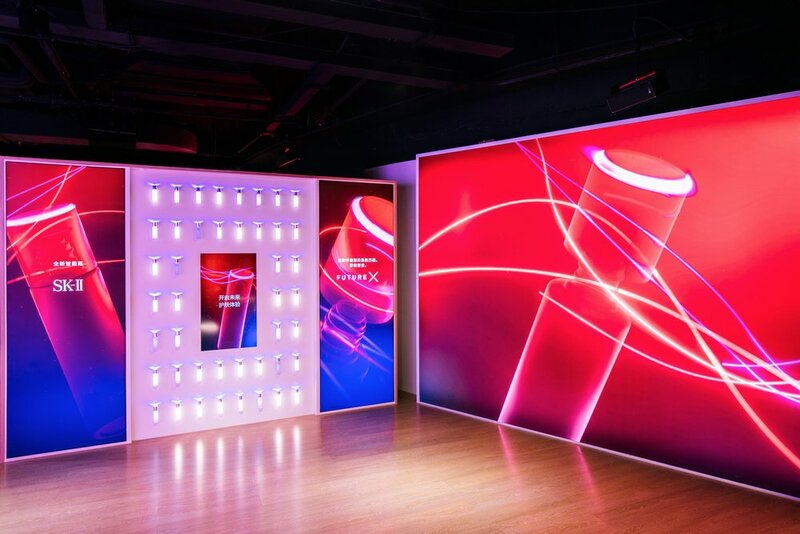 At the end of the store experience were highly interactive retail tables built from a combination of cameras, projection mapping and a motion-sensing Kinect suspended from the ceiling. 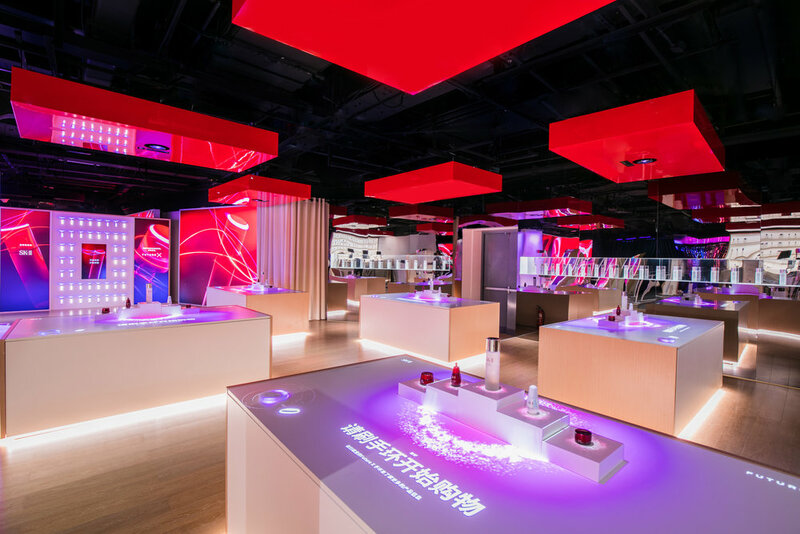 Visitors could explore the different SK-II products in an incredibly immersive way and add to cart with just a wave of the hand (RFID bracelet). The Smart Store also announces an upcoming beta product—a Smart Bottle with embedded sensors to track daily product usage that employs a digital advisor to guide the product experience. 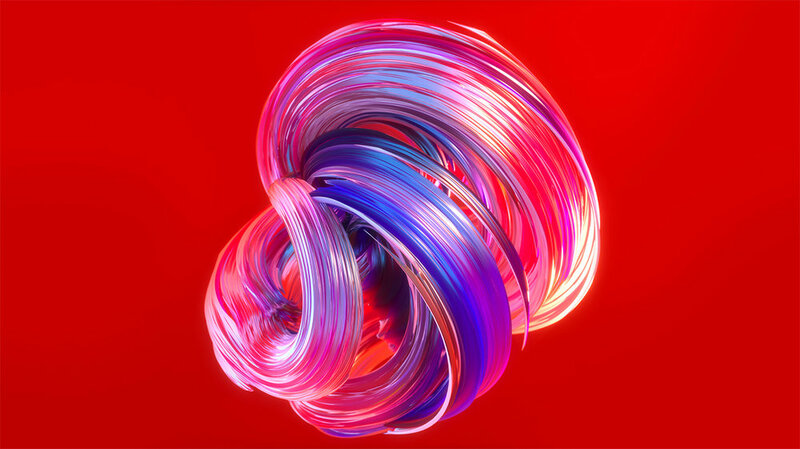 To explore the sentiment of beauty & technology, we asked the graphic artist Ari Wenkle to generate rich visuals to be used across print and digital materials. 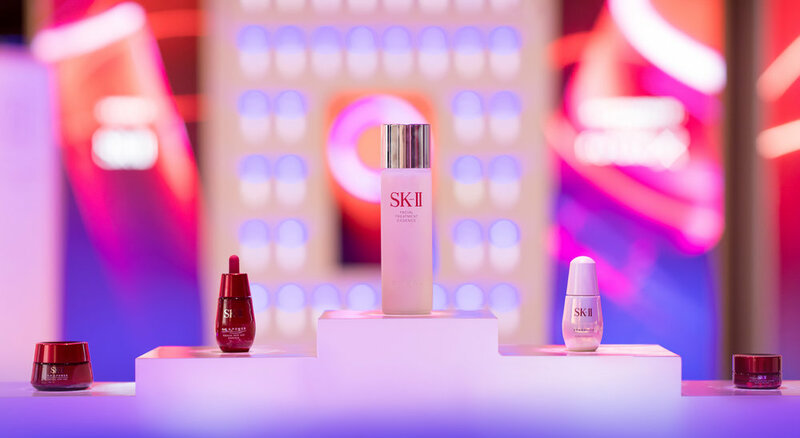 The store was met with praise, garnering a great deal of press for SK-II across Asia and beyond and elevating SK-II to the forefront of technological innovation in beauty.